The Kraken is generally deployed by a capital ship from a suborbital location, dropping quickly to the surface of a world while moving into an effective position. Once in place, the siege tower can relentlessly beset an enemy site through the firing of stationary weapon emplacements, the deployment of individual strike forces, or even physically ripping apart an opponent’s fortified structures with its three grapplers. 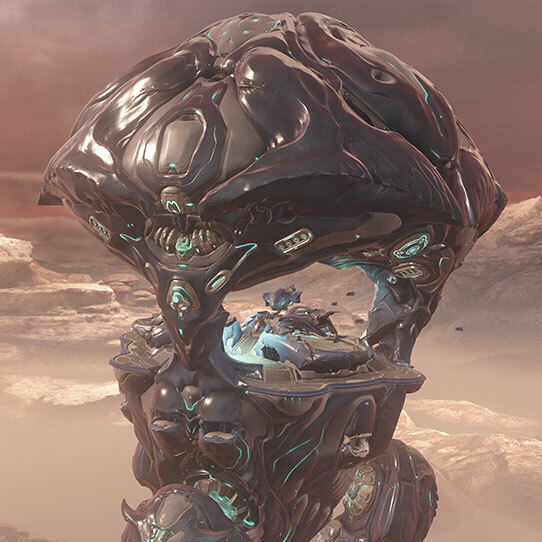 The Kraken is an ultra-heavy siege tower, a massive Covenant sky fortress with three powerful grappler arms capable of physically crushing and moving mountain-sized objects. 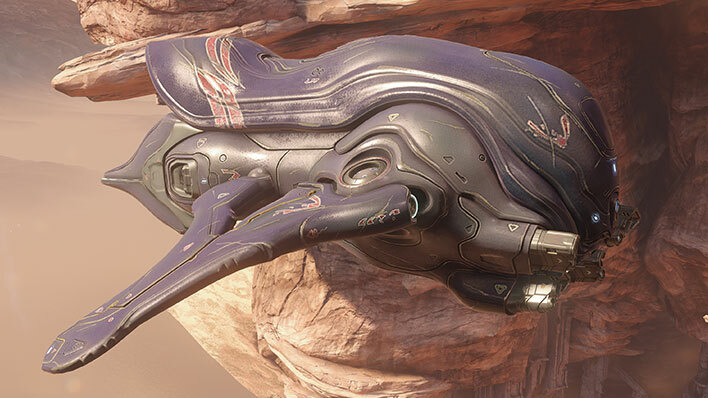 The carapace’s main assault platform is augmented with stationary weapons, aircraft, and infantry, and is used as a staging site for localized incursions, allowing it to roll through enemy defenses like a tsunami. Some human records indicate that the Kraken may have been encountered early in the war with the Covenant, but none survived to confirm it. 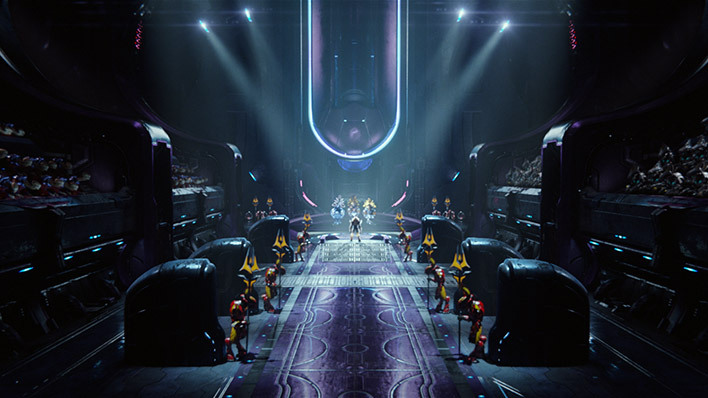 Only after the war, under the direction of Jul ‘Mdama, did the Covenant leverage Krakens with some level of regularity. 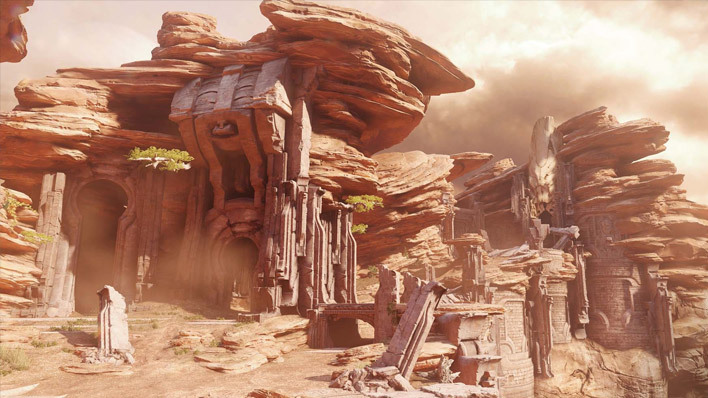 It’s commonly held that these siege towers were originally based on a variant of Forerunner Sentinels used during their war with the Flood, discovered in a reliquary of mothballed ordnance before being created by the Covenant. 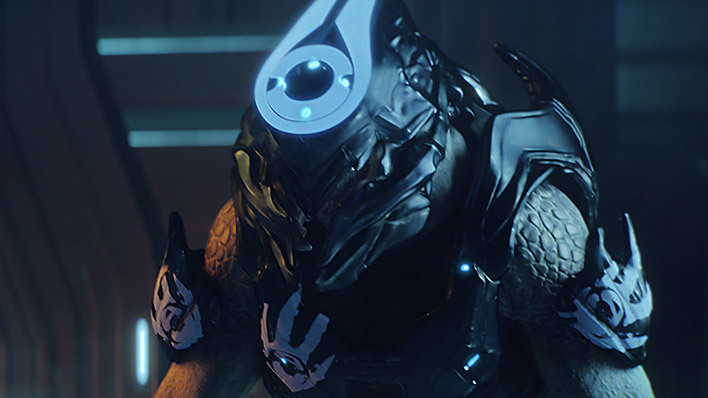 In his effort to return the Covenant to prominence, Jul ‘Mdama managed to secure several weapons caches belonging to the old guard. This included a number of Krakens. Although early on he utilized them sparingly, wanting to avoid tipping his hand, in October 2558, the Covenant deployed them en masse: one to Kamchatka and another to Sanghelios. This aggressive move would mark the first real engagement the UNSC would have with these incredibly destructive machines, though it would not be the last. 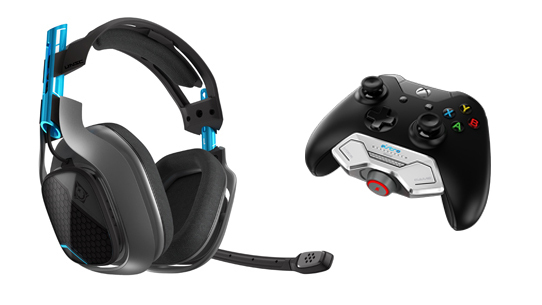 Astro Gaming's Halo 5: Guardians headset features an over-the-ear design and a swappable/removable mic to provide you with the best gaming experience possible. Whether at school, at work, or at home, you'll always be ready for battle. 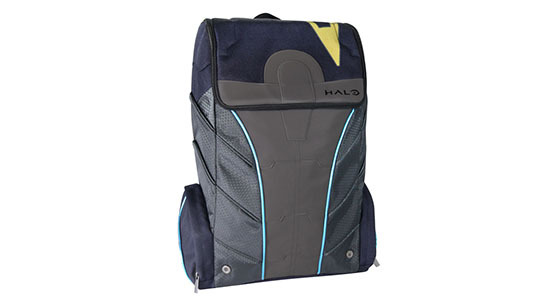 Inspired by Spartan Locke's armor, this bag will carry your necessary equipment.